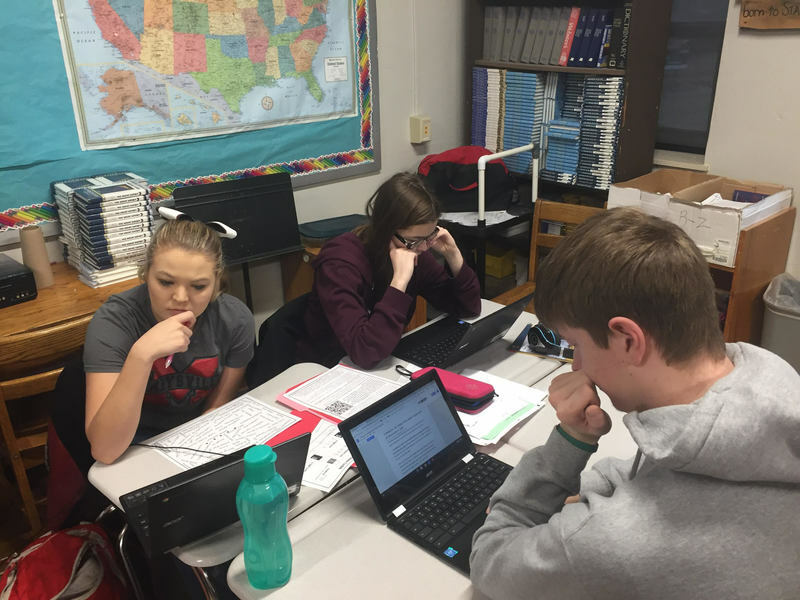 Our Feature Classroom of the week (February 6-13) is Junior English. Students successfully completing this course will: 1. Study a number of literary movements and periods including Puritan and American Revolutionary literature, romanticism, transcendentalism, realism, and modernism, analyzing the attributes of each and examining how American literature both past and present applies to the world around them. 2. Read two plays (The Crucible and Our Town) and three novels (The Call of the Wild, The Great Gatsby, Fallen Angels) along with a number of essays, short stories, and other short writings. 3. Complete a variety of essay assignments graded using the 6-trait model. 4. Complete a number of creative projects that require students to organize and synthesize information from a number of sources. 5. Complete a number of mini-research projects that provide background information for works being read. The Teacher that teaches this class is Mrs. Carla Wolfe. They are currently working on the Salem Wich Trials Break out Activity. 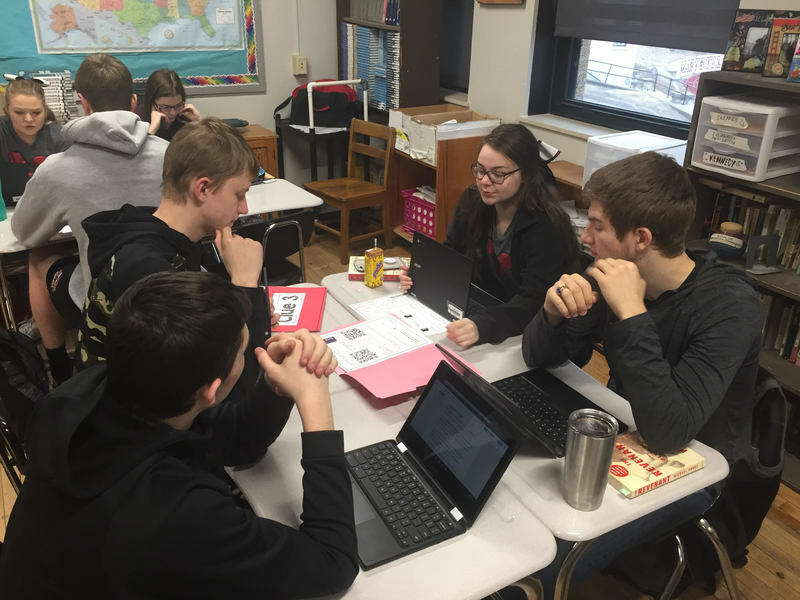 Mrs. Wolfe says that the students “explore the background and cause of the Salem Witch Trials by solving clues to unlock the 4 locks on the box. Students learn through problem solving and receive a prize for opening the box. This relates to our reading of the crucible”. Her Favorite thing about the class is “Problem solving and constructing knowledge, which is a great way for kids to learn”.